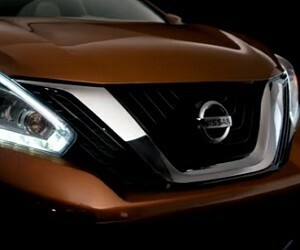 Nissan has launched a new series of ads to showcase Murano, “a totally unique crossover experience”. A 45-second spot is dedicated to the introduction of the new model, a 3-minute-and-55-second spot is dedicated to an overview and a 68-second spot is dedicated to parking and safety technology. The latest commercial features the parking and safety features, with the voiceover saying: “Stay confident, stay in the joy of driving with 260 HP and features like blind spot warning and intelligent cruise control, predictive forward collision warning, forward emergency braking”.